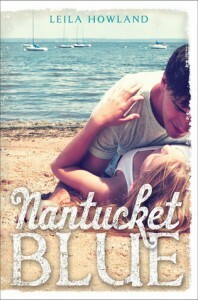 Cricket Thompson is psyched when she gets invited to spend the summer on Nantucket Island with her best friend, Jules. After all, ever since Cricket’s parents divorced and her mother sunk into a cloud of depression while her father found a girlfriend and adopted a kid, she’s pretty much adopted Jules’ family as her own. It’s going to be a summer of parties, tanning, and maybe getting her crush, Jay Logan, to return the attraction. Everything changes when Jules’ mother, Nina, suddenly dies from an aneurysm. The grieving family goes to Nantucket, but Cricket is most definitely uninvited. Looks like it’s a summer of hanging around home with her gloom-and-doom mother, babysitting for spending money, and no friends or Jay in sight. Unless…. Cricket decides to go to Nantucket anyway, on her own. Unfortunately, the job she originally lines up doesn’t pan out as intended. Rather than head home with her tail between her legs, she finds a job as chambermaid for a small bed and breakfast, which offers her room and board. It’s hard work, but it’s worth it. But Jules doesn’t seem to want her around at all. How did their friendship sour so quickly, when Cricket wasn’t even looking? Fine. Cricket finds other ways to distract herself…by accidentally falling for Jules’ brother, Zack, who, at sixteen, is two years younger and really, quite off-limits when you think about it from a friend-and-family point of view. But can hard work and a newfound, illicit relationship satisfy Cricket? Will this be the best summer ever, or a crashing disaster? Sooner or later, she’s going to find her breaking point. I really enjoyed Nantucket Blue. It’s a beautifully-told tale of love and loss and trying to find one’s way in the world. Cricket’s a great character—feisty, resourceful, and loyal to a fault. Which is why Jules’ betrayal hits so hard. Cricket’s done nothing but try to be there for her friend at one of the worst possible times of her life, only to experience a cruel, unworthy rejection…even though she’s hurting as well, having lost the woman she all but calls mother as well. I love that Cricket’s first thoughts are to help her friend, to be there for her, to support her even if it means taking a job she doesn’t like in a strange place. I love that Cricket’s the sort of girl who stands up for herself and tackles rough jobs and doesn’t wilt under pressure. I love that her name is Cricket. She’s definitely not perfect; her emotional blowup when dealing with her family late in the book demonstrates that. The fact that she’s hooking up with her best friend’s younger brother at a time when she’s supposed to be giving them space is likewise proof, as is the moment when she and her long-time crush Jay finally have a chance to act on those feelings. Unwise decisions and rash moments, yes, but she’s understandably pushed to that point. So why don’t I like this book more than I do? I mean, it was a fun read, kind of breezy, packed with genuine emotions and a likeable heroine and an awkwardly real romance. There’s a terrific subplot where Cricket finds her mother’s diary and gains new and interesting insights into her mother’s own sordid teenage past, and uses it to try and spark new life and emotion. There’s another fun subplot where Cricket makes friends with, and semi-interns for, a writer doing a piece on a local celebrity, which gives her a chance to see some interesting corners of the island and its inhabitants. Maybe the book feels a little too breezy, a little too shallow and to-the-point. While we can understand that Jules is hurting, her anger towards, and rejection of, Cricket just seems a little too sudden and sharp, even mean. From the depth of the friendship they supposedly had, this development is hard to swallow, that Jules would shut her out so viciously and display a never-before-seen side. But teenage girls are a strange and treacherous species, I’m told. The ending feels somewhat abrupt. While there’s the sensation that the book’s been moving towards a certain point all along, it arrives with a surprising quickness, and then it’s all over. I daresay a little bit more cushion to soften the stop would have been nice. 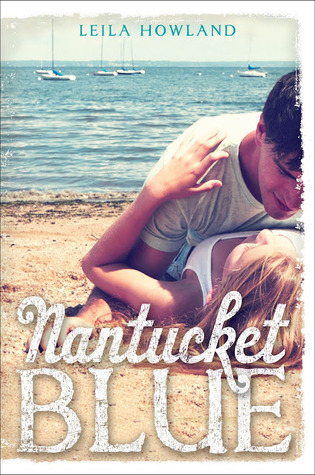 But really, this is a lovely, well-written, highly-enjoyable story about finding love and healing, and finding that perfect, calming state of mind, the “Nantucket blue.” This marks a strong debut for Leila Howland, and I look forward to seeing what else she can do, as I expect she’ll only get better.